The Media Arts Assistance Fund (MAAF) supports electronic media and film organizations, as well as individual artists, in all regions of New York State. For individual artists, MAAF provides support for the completion, distribution and exhibition of new works in all genres of sound and moving image art, including emergent technology. 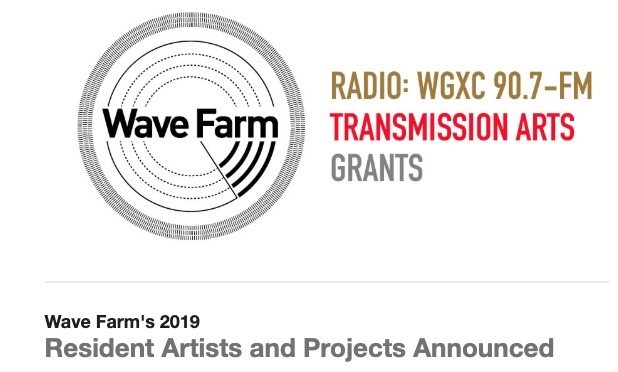 Grant awards assist artists in completing new work, reaching public audiences, and advance artistic exploration and public engagement in the media arts. The annual deadline for the Media Arts Assistance Fund for Artists is January 15. Grantees are selected through a competitive panel process. Detailed information about the 2019 MAAF projects is included on the following pages of this release. Dirtscraper is a room-sized computer simulation of an underground structure whose “smart architecture” is overseen by artificial intelligences—spatial and social designers that observe, learn, and make changes to the system. Unaware of the control exerted by these entities, residents move through spaces that reflect varied economies and class hierarchies. Over the course of its lifetime, we may observe the corrosion of this zone, the decay of its philosophy, and the solitary voice of its caretaker trapped in the contradiction between her health and the societal demands placed upon her. MAAF funding will support the completion of single-channel film format of Dirtscraper, formatted to a cinemascope Digital Cinema Package with 5.1 surround sound. Sofian Khan—An Act of Worship An Act of Worship is a feature length documentary currently in post-production. The diverse team of Muslim filmmakers have followed Muslim-American female activists around the country over the past two years, in this timely meditation on the country’s current political climate. Each of the women featured in the film build on themes of resistance, community and the personal experience of Islamophobia that they share as their lives and stories intersect. Laura Kraning—Terra Terra builds upon the kinetic immersive exploration of Kraning’s previous archival project Meridian Plain, mining the slips between stillness and motion, time and space, but filming her own earthly images of ecological forms and textures. Exploring the forests and glacial debris of Western New York, as well as a unique fossil park, and industrial mineral quarry, Terra will reveal invisible histories imbedded in the strata of precambrian stone, the tentacles of molds and lichen, and the imprints of ecological time writing intricate patterns across the surfaces of living and decaying trees. MAAF funding will support the necessary tools for completion. Madsen Minax—North By Current Filmmaker Madsen Minax returns to his rural Michigan hometown following the death of his infant niece and the wrongful arrest of his brother-in-law. Through first-person cinema vérité and genre-bending storytelling, Madsen navigates a town steeped in opioid addiction, economic depression, and religious fervor, while using the act of filmmaking to rebuild familial bonds and reimagine justice. Posing empathy as a tool for creating a more just world, North By Current creates a relentless portrait of an enduring pastoral family, poised to reframe and reimagine narratives about incarceration, addiction, trans embodiment, and ruralness. MAAF funding will support consulting editors and color grading services. 12 Years in Azeroth: A Case Study is an ethnographic account of a subject who's spent more than a decade immersed, at times casually and at times competitively, in the online role-playing game "World of Warcraft." Authored as an electronic book/game, it deals with co-mingled realities, and explores a range of topics including work, play, relationships, illness, death and dying. What exists as a 750+ page written text will be finalized by end of summer 2019, and the first playable level of the game (which requires completion to access following sections of the written text) will be completed soon after with programming assistance made possible by MAAF support. Electronic distribution is planned for late 2019/early 2020. In collaboration with the Trinity Downwinders—victims and survivors of the world’s first atomic bomb test— and their organization, the New Mexico-based Tularosa Basin Downwinders Consortium, Steves has been working for the past year with a multidisciplinary team of artists and scholars to collect oral histories. Using these histories, archival material, and other recorded sound, Audio Countermonument will be comprised of transmission-based monuments to commemorate the 1945 test and to document ongoing impacts on the New Mexico community. MAAF support will enable editing support and supplies. This is an Address I, II is a two-channel video installation that archives queer space and meditates on care networks, interdependence, world making and un-making in relation to the ongoing, entangled impact of HIV/AIDS and gentrification on the landscape of New York City. Support from the Media Arts Assistance Fund will go towards completing the score, sound mix, and title design for the artwork. This is an Address I,II will be presented in the exhibition Nobody Promised You Tomorrow: Art 50 Years After Stonewall at the Brooklyn Museum (New York) from May 3 through December 8, 2019.